Millie Bird, seven-years old and ever hopeful, always wears red gumboots to match her curly hair. Her struggling mother, grieving the death of Millie’s father, leaves her in the big ladies’ underwear department of a local store and never returns. Agatha Pantha, eighty-two, has not left her house – or spoken to another human being – since she was widowed seven years ago. She fills the silences by yelling at passersby, watching loud static on the TV and maintaining a strict daily schedule. Karl the Touch Typist, eighty-seven, once used his fingers to type out love notes on his wife's skin. Now that she’s gone, he types his words out into the air as he speaks. Karl’s been committed to nursing home but in a moment of clarity and joy, he escapes. Now he’s on the lam. Brought together in strange circumstances, the three will embark upon a road trip across Western Australia to find Millie’s mum. Along the way, Karl wants to find out how to be a man again; Agatha just wants everything to go back to how it was.Together, they will discover that old age is not the same as death, that the young can be wise, and that letting yourself feel sad once in a while just might be the key to a happy life. 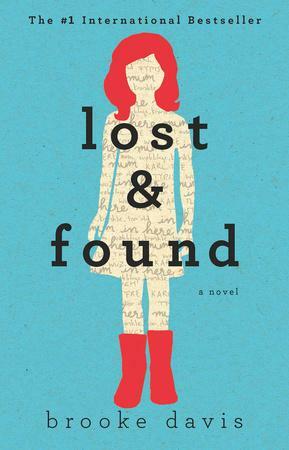 I had heard and read so many great (and not so great) reviews about Lost and Found since it was released in February. The synopsis alone caught my attention from the get-go. It is a story about an unlikely trio who find themselves travelling across Australia together in an attempt to reunite Millie and her mother. The story is a bit strange and the scenarios are very unlikely, but to really enjoy Agatha, Millie and Karl's story, you just have to go with the flow and tag along for the ride. The characters get themselves into predicaments that will make you laugh, cringe and maybe even cry. This range of emotion that is elicited while reading Lost and Found is what makes it such a fantastic book. Agatha Pantha is a character I won't soon forget. Her mannerisms and upfront nature are hilarious. She also has a softer side that is shown the closer she gets to Karl and Millie. She is definitely on my list of favourite characters of all time. I opened this book wholeheartedly and was a different person after I closed it. Brook Davis' debut novel has landed a spot on my favourites shelf. It's currently sitting next to my copy of The Rosie Project by Graeme Simsion because of its blue cover, Australian setting and quirky characters.